No speaker NEEDS corners... but they still need to be placed in proximity to benefit from the wall boundaries. The backs allow you to clock the speakers more instead of having to have them pressed.up against the walls tightly. every speaker benefits from association with a boundary layer... some more than others. Jubilees are already enclosed so they do NOT absolutely need to be tightly against the wall to reach into the bottom frequencies. These beautiful speakers are still available. I can’t believe these beauties have not sold. me also... I am fairly certain there is a common reason as to why they haven't found a new home as yet. Off is good, but obviously not enough for anybody to pull the trigger. Time will tell. First off as all of you know, their $12,000 new retail, not $16,000. These 70th anniversary khorns were $16,000 msrp because they were a limited edition with some extra features. Like what to make them a 4k bump? If that was the fact, these would have been gone the first week! I don't know about you guys, but I look for best bang for the buck. Either that or this guys not a straight shooter! Am I stepping out of line here? I've bought and sold a ton over the years, and I've called and stopped wrongful posts. I'm honest, and expect others to be as well! I don't want to buy these, I'm just participating in this post for others. Everybody seems to be pussyfooting here. I personally have a price point in mind... but I don't want to offend the original poster and his need to realise his initial asking price. It's definetely a matter of "What the market will bare"... specially so with the secondary market regardless of what the original MSRP was or what was originally paid. FINALLY learning manners in others FS postings. Off to a solid start. Moosee 1955 First off The MSRP for the 70th Anniversary Khorns was $16,000. I am a straight shooter! If you do not think they are worth the price that is fine. But being disrespectful is not fine. I don’t appreciate you accusing me of being dishonest. The only wrongful post in this thread is yours. 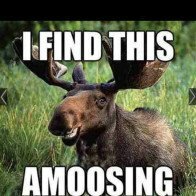 Did you know in Canada Moosehead is a beer, where you live it's a felony.